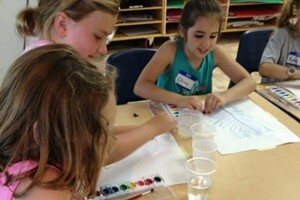 Devoted Dads | Editor's Note | Kids VT - small people, big ideas! When I started dating my husband, Jeff, I was an elementary-school teacher and he worked at a big advertising agency in New York City. He enjoyed some of the perks of the job — like business trips to L.A. and fancy catered photo shoots — but didn't really have a passion for the work. After we got married and moved to Vermont, we spent a lot of time talking about what we wanted from life. I still remember the conversation, over an Italian meal at the now-defunct Three Tomatoes Trattoria on Church Street in Burlington, when we decided that he would go back to school to become a teacher. Just a few weeks before our first child, Mira, was born, Jeff graduated from a one-year master's-degree program in secondary education at UVM. That fall, he started teaching middle school language arts near the Canadian border in Sheldon. In the 11 years since, we've welcomed another child, and Jeff landed a job at a school closer to home. But he's still a middle school teacher. It makes me happy to know he's found a career so well-suited to his quirky, curious, extroverted personality. 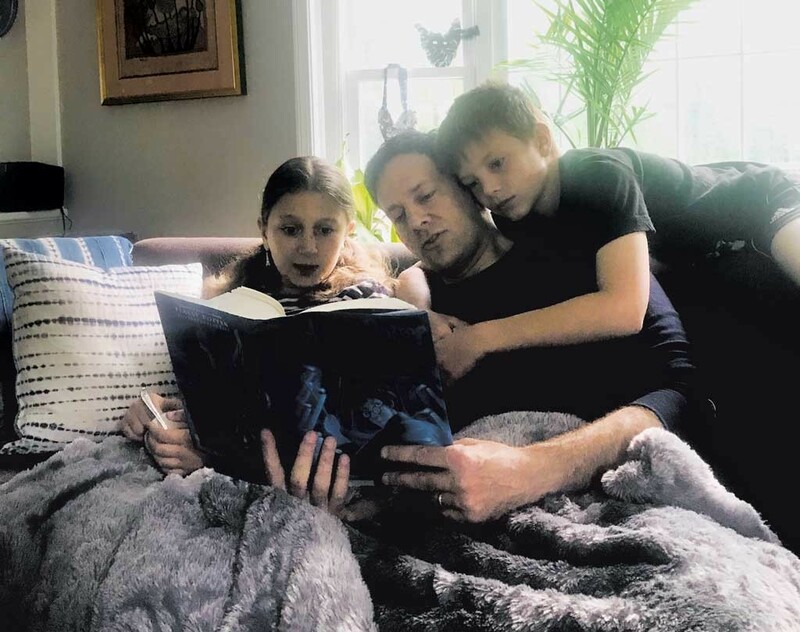 And it's fun to see how he incorporates his teacherly ways into his role as a dad — from using his kid-wrangling skills to coach our kids' soccer and lacrosse teams to getting deep into Harry Potter character analysis during bedtime reading sessions with Mira. In this month's annual Dad Issue, food writer Melissa Pasanen interviews chefs who are also fathers about how their jobs in the kitchen relate to their parental roles. In "Dining With Dad," six renowned Vermont restaurateurs answer questions, from how they get their kids to eat veggies to whether they think children should go out to nice restaurants. Find the fun piece here. Keeping with the theme, we've enlisted a handful of local dads, and even a grandfather, to write for Kids VT this month. Benjamin Roesch recounts his Stowe mini-golf outing with his two sons in "Destination Recreation." Essex grandfather Tom Thompson reflects on taking his grandchildren on his Meals on Wheels runs. And Keegan Albaugh shares a personal essay about the lessons he hopes to teach his daughter in the era of #metoo. In the center of this issue, you'll find a scorecard for the Good Citizen Challenge, a brand new initiative created by Seven Days and Kids VT that aims to help Vermont kids learn about civics, government, history and media literacy. Participants earn points by completing activities ranging from visiting historic sites to engaging in conversations with neighbors and elected officials. Also be on the lookout for our second annual Daytripper summer fun guide, with dozens of suggestions for attractions, restaurants, ice creams shops, parks and campgrounds to visit in the warm-weather months. It hits newsstands and the web in June! It's our hope that both the Daytripper and the Good Citizen Challenge will provide some structure to your family's summer — and help you have fun, too! Empowering My Daughter: How the #metoo Movement Changed my Outlook on the Word "No"